Prepare the sauce in a small bowl by mixing the fish sauce, lime juice and sugar. Set this aside. *Optional: this recipe requires dry chilis as opposed to fresh chilis because fresh chilis can make the taste a bit more tangy than roasty. I released some of the heat by grinding the flakes in a mortar. Finely chop the shallots and cut the spring onion stalks. While a pan is set on medium fire add coconut oil to the pan and then the shallots. 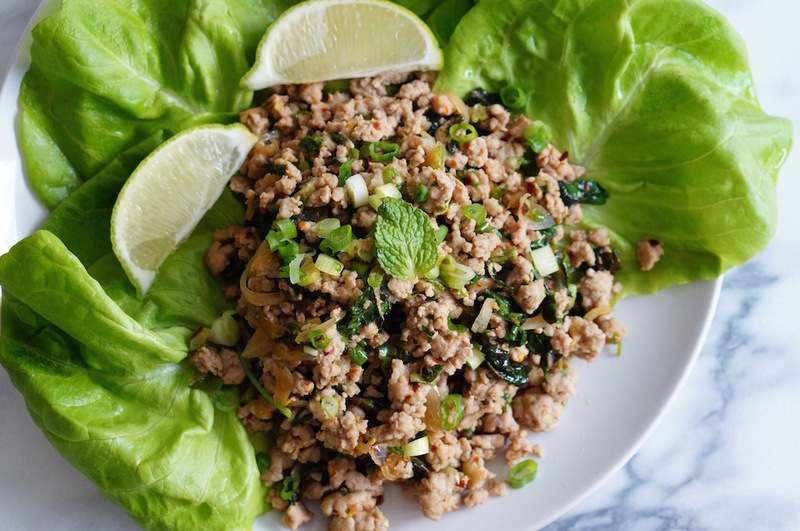 Add the ground pork and cook, making sure to break it up into bits & pieces. When it’s 90% cooked, add the sauce mixture and let it simmer. 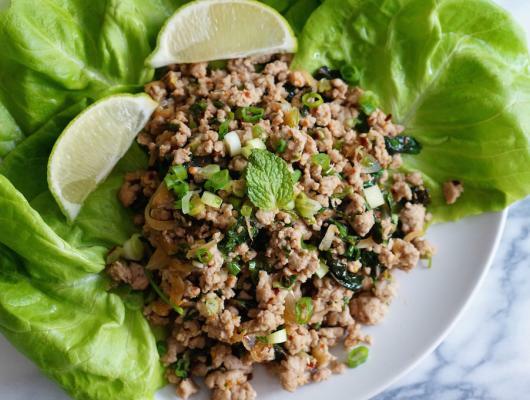 Serve on a bed of crisp lettuce to eat as lettuce wraps.